My translation of Thorsten Nagelschmidt's second novel, Was kostet die Welt, published by ﻿Black Rose Writing﻿, is now available! Click the cover below to order! 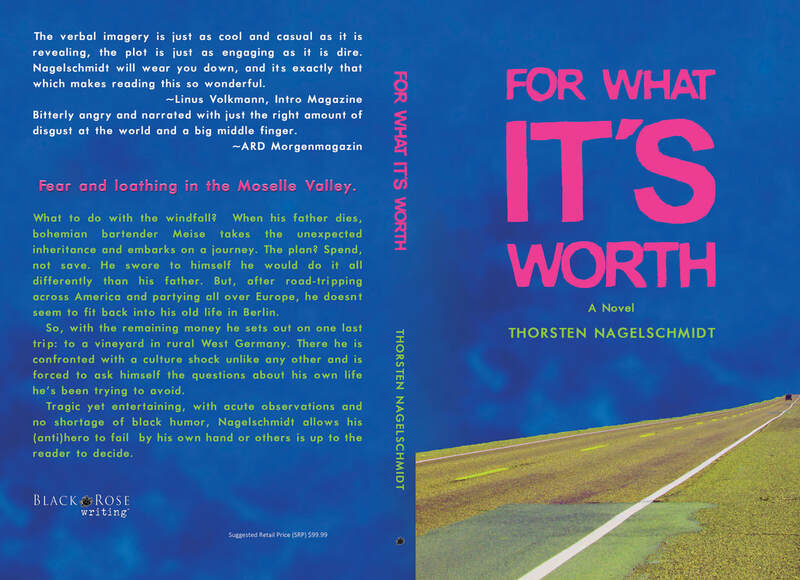 Thorsten Nagelschmidt and I will be going on a reading tour this spring to support "For What It's Worth." Check out the dates below, and come say hi. Similarly, if you'd like to host a reading or have any suggestions for us, we are all ears.